With over 40 years of combined experience, Francine H. Moss, Esq. and Stephanie Judd, Esq. are here to serve your legal needs. 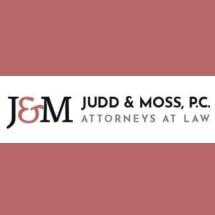 Whether your matter involves a divorce or separation; issues of custody, child support, spousal support, equitable distribution, child abuse or neglect, paternity, adoption of children or other family law matters, we will handle your case with care and sensitivity, while protecting your rights.